I cannot recommend Neill highly enough, especially if you are nervous about driving or have had a bad experience with a previous instructor. Following a series of lessons with the AA, I felt I had made little progress and driving seemed a nerve-wracking and daunting prospect. In my initial session with Neill he pointed out all the skills I had retained, which gave me confidence. He continued to build my confidence throughout the lessons, and was always calm, clear and extremely patient. 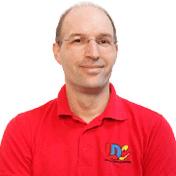 The LDC workbook helped me to prepare in advance of each lesson, which eased my nerves. Having my lessons structured around the book allowed me to record my progress, and provided a clear and natural build up to taking the driving test. Although I failed two tests, Neill's absolute conviction in my ability to pass never faltered. On my third attempt I managed to keep my test-day nerves under control and demonstrate all the skills Neill had taught me, passing with five minors. 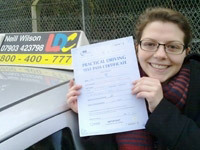 I'm a driving instructor in Blandford Forum, Bournemouth, Dorchester, Poole, Wareham and surrounding areas..